Thank you, thank you for this innovative idea! With NextStage it's possible to stage all of my listings and the pieces look just as great in person as they do in photos. With this more affordable option I have a definite edge over my competition! Your staging skill and design sensibility are absolutely crucial to your staging business. But if you could add another dimension to the service you provide real estate agents and homeowners, how much further could you take your business? And if this new, value-added service actually saved you time and reduced your costs, could you afford to ignore it? I couldn't. When I launched Chips and Kerry Home Staging, I wanted to make a splash with local real estate agents. And within a few short months, I'd done just that. I found a niche. I discovered how to fill it. I delivered exceptional value to my clients. And today, I can barely keep up with the demand. I'd like to show you exactly how to do duplicate this success in your market. And I guarantee you'll be blown away by just how easy it is. "NextStage Furniture is the Answer for us all in the Home Staging Industry." NextStage Furniture allows even a small home staging businesses to provide the kind of service you'd expect from larger firms. It allows you to provide attractive, versatile furniture for any listing at a fraction of the cost of renting or purchasing your own furniture. NextStage gives you an edge on your competition � and frees up more time to focus on sales and growing your business. Within a mere two weeks from today, you can revolutionize your staging business. You'll add incredible value to your service. And you'll add dollars to your bottom line. 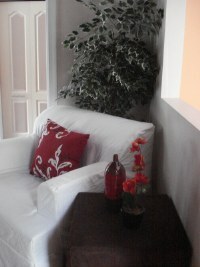 In April, we had full price offers on the two listings we had staged with NextStage Furniture. The first one sold in 33 days and the second in 12 days. It�s so realistic that buyers didn�t even know it wasn�t real. You can deliver the same proven success to your clients. Try out NextStage for yourself � worry-free. With a 30-day money back guarantee on NextStage furniture (excluding shipping charges), there's no reason to pass up this opportunity to make your staging business truly unique in your market area. We just sold three properties in quick succession that were staged by Kerry and Holly. 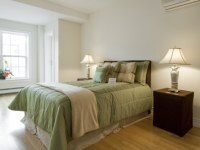 They really helped define our empty rooms with a contemporary look and gorgeous accents. We honestly believe that the staging with NextStage furniture helped sell the houses quickly and for top dollar in each case. We're looking forward to using your services again when the next project is completed. Here's what you can expect as a NextStager. Stage empty houses without the cost and hassle of renting furniture and muscling it around the room � or the major investment of owning and storing your own staging furniture. With NextStage, you can offer staging for any listing � even lower-priced listings that may not have justified the budget in the past. And it's so easy to use NextStage, you can meet every client demand � we recently made a tiny bedroom look larger and more inviting by staging it with a "single bed" we assembled from our versatile NextStage furniture. Stage an empty house, including furniture, before lunch. While a NextStage sofa will hold up to 1000 pounds (or 453 kilograms), you can carry it into a house by yourself, under your arm. Then, simply put it together in minutes � no tools required. 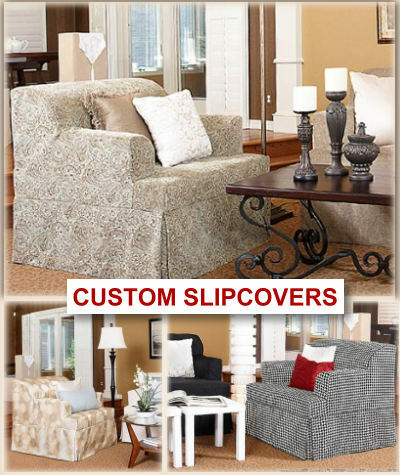 Cover it with attractive designer coverings to perfectly co-ordinate with existing furnishings or accessories � to customize your furniture for any style of home. If you decide it's not positioned correctly � simply slide it over to its new location � all by yourself. For the cost of a single sofa, you suddenly have access to enough furniture to stage an entire living room and dining room. And don't worry about storage costs. NextStage folds flat and hides away. You can store enough furniture to stage six houses in a corner of your garage. You can transport all the furniture you need to a client's house in the trunk of your car. Because it costs you a fraction of what you'd normally need to pay to offer staging furniture, you can pass some of your savings on to your client and still be more competitive AND more profitable. 1. Begin by ordering one of the two versatile NextStage starter kits. 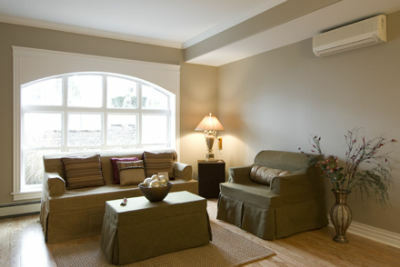 These allow you to stage up to three rooms at a great saving. 2. Find out just how easy it is to assemble. Everything's coded and goes together 1-2-3. After a couple of tries, you can do it with your eyes closed. 3. Let your clients and potential clients know you can offer a brand new service that will let them quickly stage empty homes. 4. Start staging and watch your business grow! Your NextStage Furniture comes complete with enough sturdy, weather-resistant tote bags to store and easily carry your furniture from job to job. I'll be happy to help you help you take your home staging business to the next level. Feel free to give me a call or drop me an email, and I can share my experience with this wonderful furniture and pass on the business-building tips I've learned while growing my own staging business. But don't wait till your competition beats you to it! Order now. The sooner you do, the sooner you can offer a truly unique, value-added service and begin attracting more clients and making more money. Just ask other stagers who've discovered that NextStage furniture's the best investment they could make in their businesses. I have to tell you, I had a home that I used all your furniture in the lower level and the clients went bonkers over it. In fact, the buyers loved it too... the house sold in five days. People laugh when I tell them that I can fit an entire living room with sofa, loveseat and oversized chair plus a queen size bed in my car. When they see it, they can't believe it's not real. I'm really excited to try the new covers too. Keep up the good work! 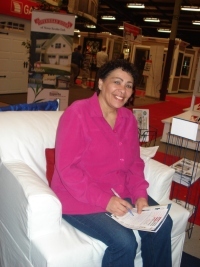 Join Brandi and all the other home stagers who have discovered how NextStage Furniture turns you into a Super Stager! P.S. Order today and relax, knowing you're covered by the NextStage money-back guarantee. Why wait any longer? They won't believe it's not real. And you won't believe how easy it is to stage empty homes in your market with NextStage furniture. Order today! Carry this bed into the house all by yourself. Slash the time you spend staging, offer better service, and increase your profits. Order today! Go from "Before" to "After" in less time... and increase your profits. Order today! Imagine how easily you could stage your next home with NextStage. Order today! CAN YOU REALLY SIT ON IT? You bet. 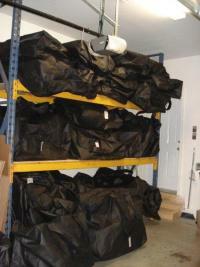 NextStage Furniture easily supports up to 1000 pounds! Order today! Believe it or not, that's five houses worth of staging furniture neatly stacked in my garage.Order today!